Black holes are the most mysterious objects in the universe and it is the much interesting subject of research, discussion and science fiction to our scientists. 1 What is a Black Hole? 3.1 How the Black Holes are formed? 3.2 Where can we find a Black Hole? 3.3 Can Earth be destroyed by a Black Hole? The name Black Holes makes you feel that it is just an empty space, right? Don’t get fooled by the name. A black hole is a region in space that has a very high pull of gravity. The gravitational pull is so strong that nothing can escape from it, not even light. This extra strong full of gravity is due to a large amount of matter that has been pressed into a small space. This kind of compression occurs when the star dies. Imagine a star that occupies more space than the Sun being compressed into a space that is smaller than a city. That’s why a black hole has so much gravitational pull. Naturally since even light cannot escape from a black hole, it is so dark that it is invisible. However, there are space telescopes with special instruments to help find black hole. These instruments help us observe how a material behaves when it is close to a black hole. 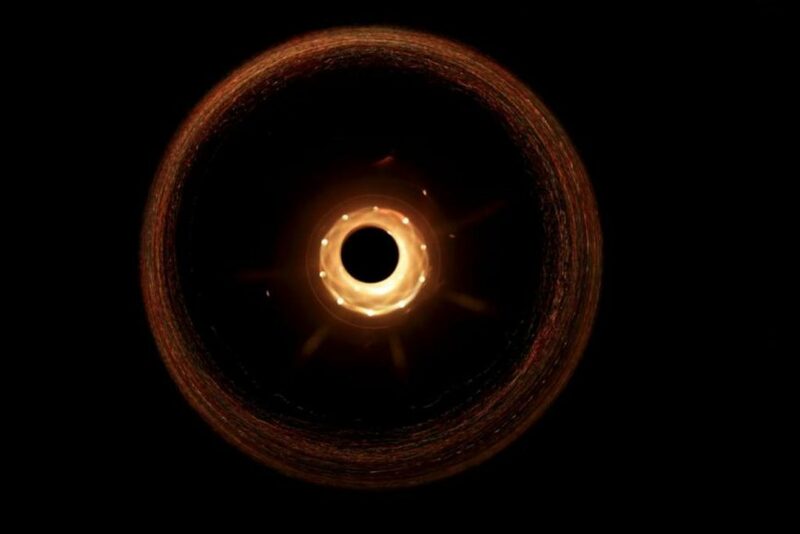 Primordial Black Holes are the smallest black holes that are as small as a single atom. However, they have the mass of a huge mountain. The medium-sized black holes are the most commonly occurring black holes. These black holes are known as Stellar. They have a mass that can be up to 20 times greater than that of the Sun within the spherical space that has the diameter of about 10 miles. They may be dozens of these stellar black holes within the Milky Way Galaxy. Lets discuss some of the common questions about the black holes formation and it’s phenomenon. Like many other mysterious things in the universe, for example Bermuda Triangle Mystery, Black holes also have many unanswered questions which are yet to be answered by our scientists. How the Black Holes are formed? Scientists believe that primordial black holes were formed soon after the big bang. When the center of a massive star collapses upon itself, stellar black holes are formed. Due to this collapse, a supernova or an exploding star is caused that makes part of the star to blast into space. Supermassive black holes are formed at the same time the galaxy is formed according to Scientists. So the size and mass of the supermassive black hole are related to that of the galaxy it is in. Where can we find a Black Hole? We have already learned that a black hole is invisible. Now the question arises as to how Scientists find out where they are and study them. The black hole cannot be seen, but the way their strong gravity impacts the stars and other material around them can be observed. Similarly, when a black hole and a star are orbiting close to each other, high-energy light is produced that can be seen through the scientific instruments our scientists have. Can Earth be destroyed by a Black Hole? It is natural to wonder about this when we read about the theory behind black holes. They do follow the laws of gravity like the other objects in space. So unless its orbit is very close to the solar system to affect Earth, it cannot destroy it. Another good news is that the Sun will never turn into a black hole since it does not have enough mass to collapse into one. So are your doubts about black hole theory cleared? Do comment below your questions and we will discuss further.